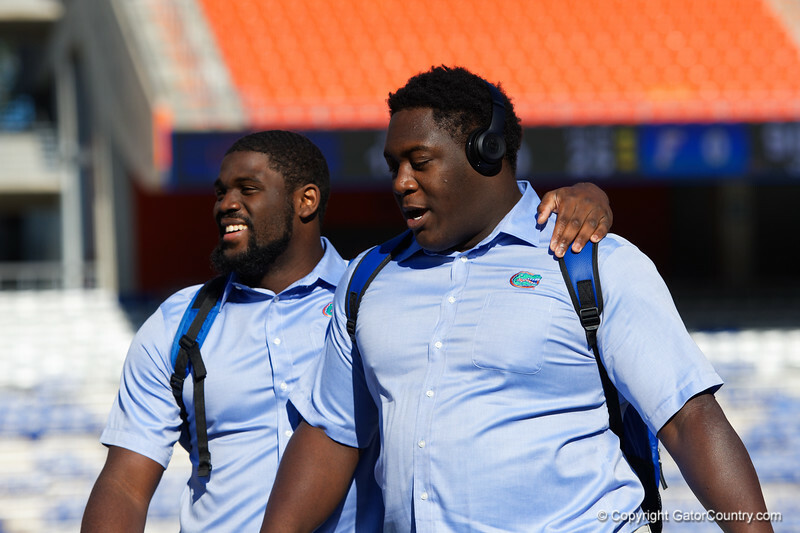 University of Florida Gators defensive end Antonneous Clayton and University of Florida Gators defensive lineman Tedarrell Slaton as the Gators walk into and across Steve Suprrier Field at Ben Hill Griffin Stadium during Gator Walk for their season finale game against the Florida State Seminoles. November 25th, 2017. Gator Country photo by David Bowie.